When I was studying in France back in college, my friends and I used to travel to different parts of Europe every weekend. 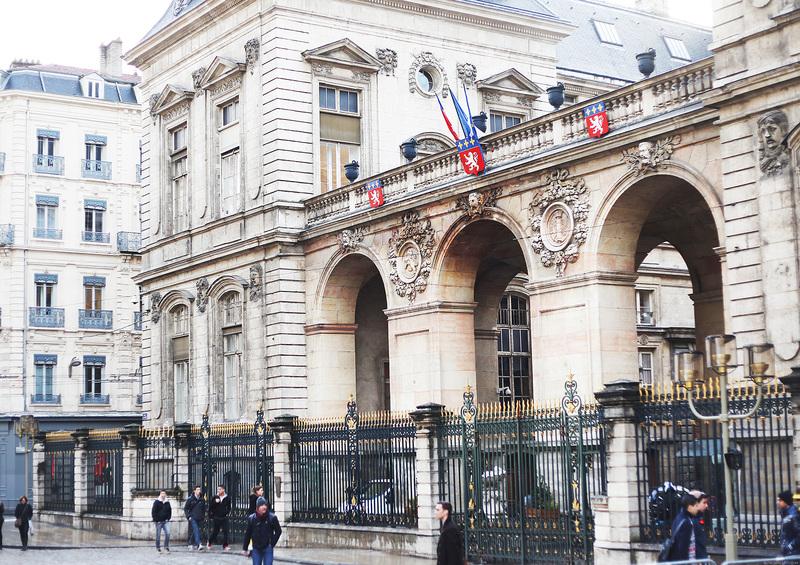 Most of the time, we’d ride the train from Gare Du Nord and backpack our way around a new city. Since this is my sister’s first time in Europe, I wanted her to experience even just a little of this. So one morning, I spontaneously booked us a ticket to Lyon, France. We only had a day to spend so I chose a city that’s close to Geneva. 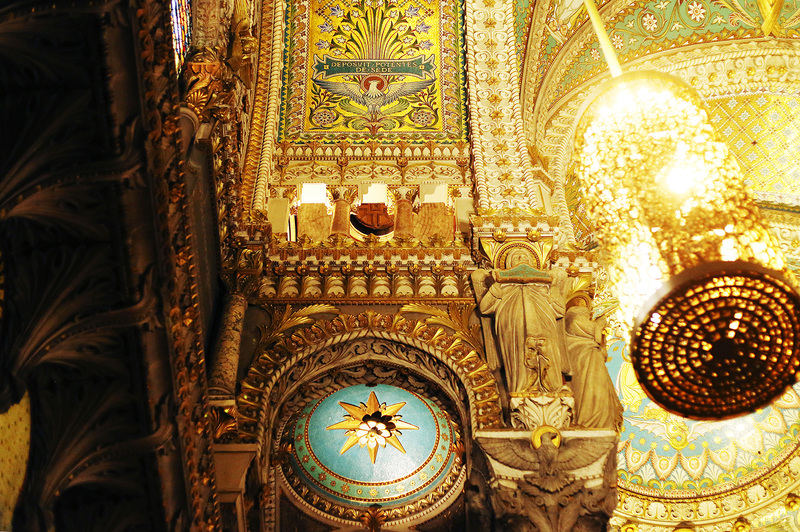 Lyon is only less than 2 hours away by train. I would’ve loved it if I could show her around Paris but it’s around 4 hours or so by train. By plane, it’s only about an hour and a few minutes away but the commute from the airport to the city center will eat up so much of our time. 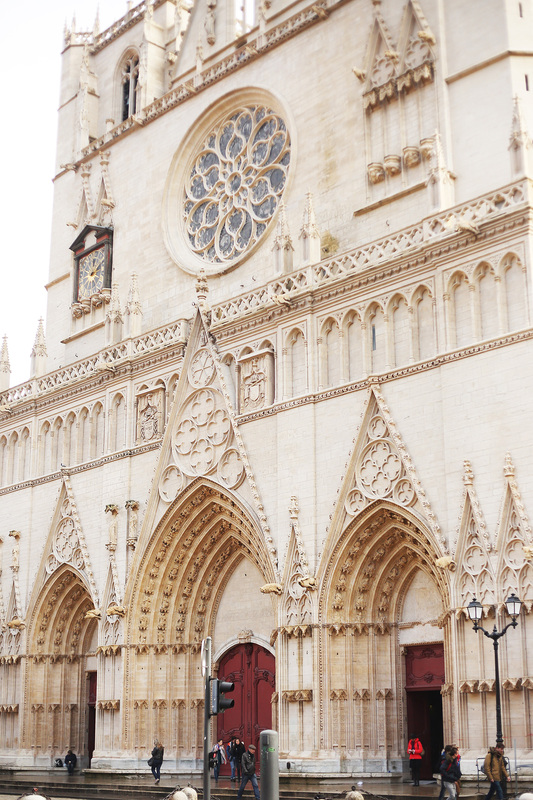 Considering our circumstances, Lyon was perfect. At least this way, she gets to experience a little of my favorite European country through an equally charming city. The last time I was here, I remember having a fever. But that didn’t stop me from exploring what to me is like a relaxed version of Paris. Lyon is a beautiful city. With this travel diary, I hope you see that as well. Our journey was off to a good start. 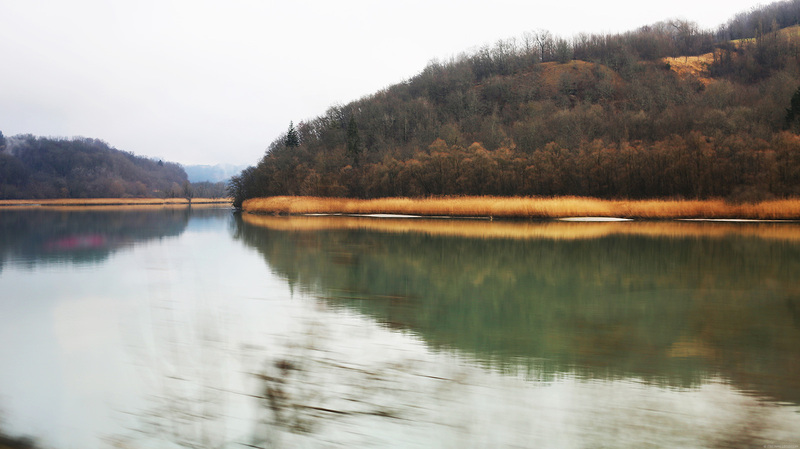 This is one of the many advantages of riding a train–you get to enjoy the countryside scenery. Since we only decided to go to Lyon on the day itself, I was definitely not prepared with an itinerary. So this is me, in the middle of Place Neuve Saint-Jean, searching for the tourist spots I saved on my phone earlier while trying to find them on my map. I enjoy doing this though. Whenever I travel with my mom and sister, I’m usually the one with the map who guides them around a city. I don’t know why but for some reason I’m good with directions when we travel, but here in Manila, I can’t seem to remember my way. LOL! 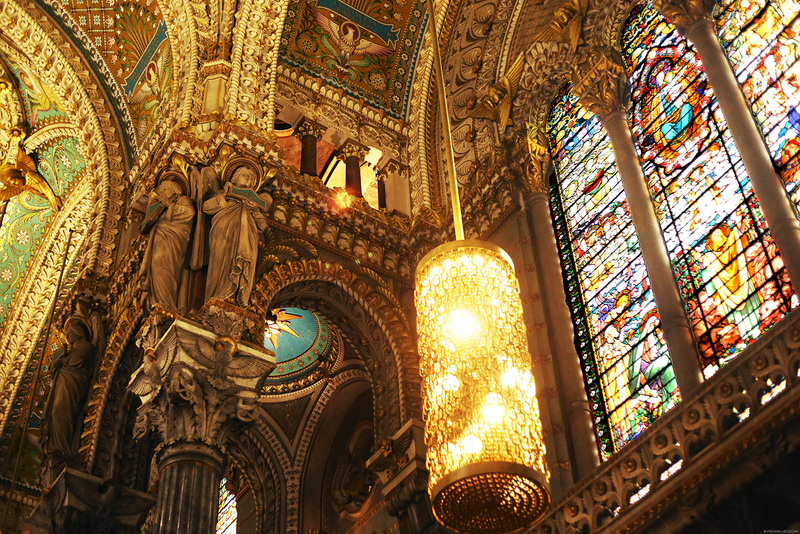 First stop on our itinerary (since we’re already at Place Neuve St.-Jean) is the Cathédrale St. Jean-Baptiste or Saint John Cathedral. It’s a UNESCO World Heritage Site most famous for its 14th century astronomical clock built by the monks to calculate their feast days (not this clock on the photo). I read on the internet that the clock is an engineering masterpiece. It’s as accurate as our modern day clocks but was designed to last only 700 years, so by 2019, it’ll stop working. 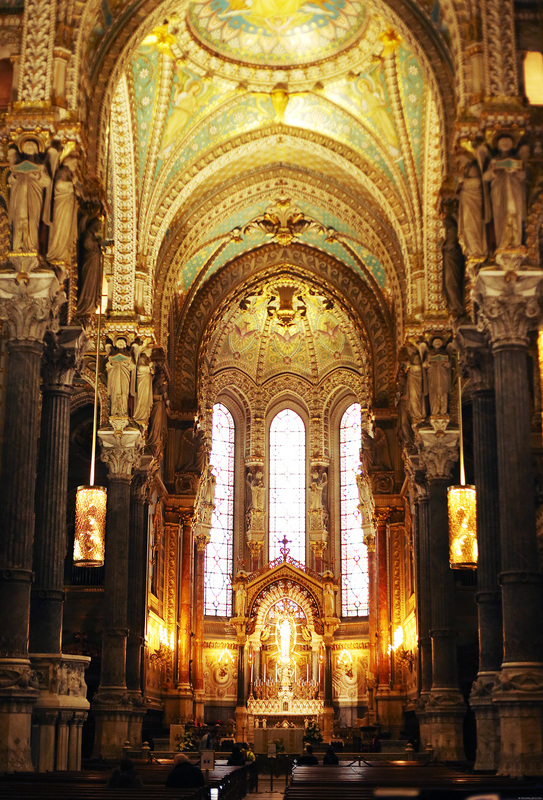 Cathédrale Saint Jean-Baptiste was actually built on the site of a ruined church that was built in the 6th century. Although this church was completed in the 15th century, parts of the old ruined church still remains. 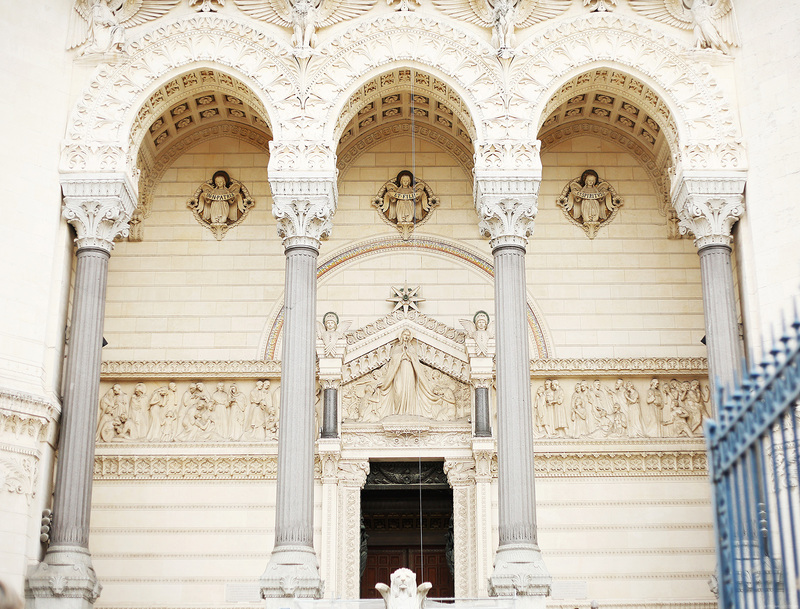 It most definitely has a beautfiul facade! 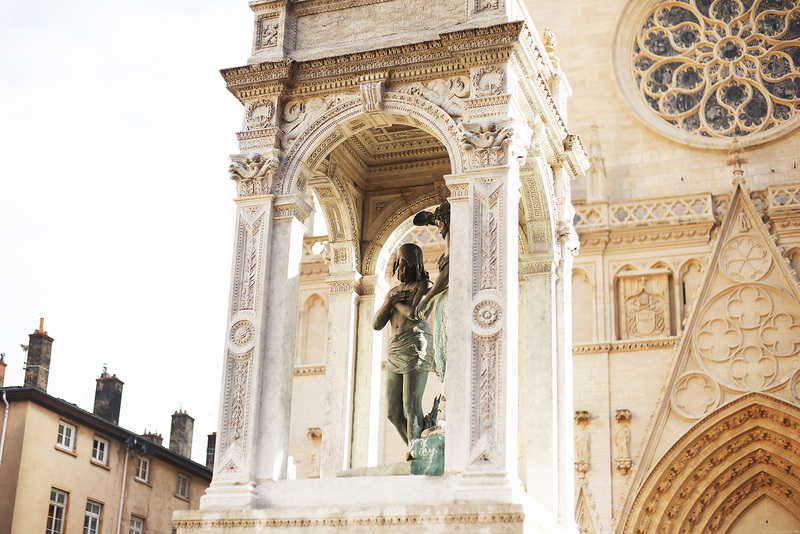 Place Neuve St. Jean is located at the heart of Vieux Lyon or Old Lyon. 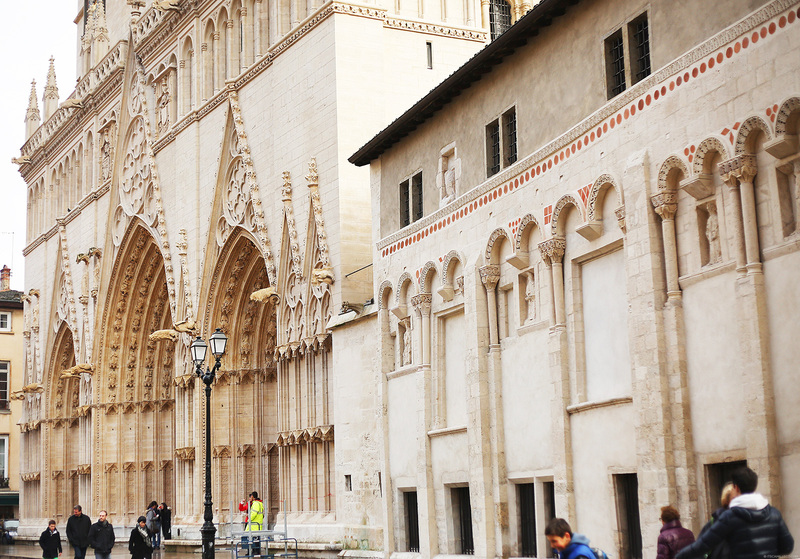 So while taking in the view of the cathedral, you’ll also see all these Renaissance-era cobbled alleys lined with historic buildings and stores. 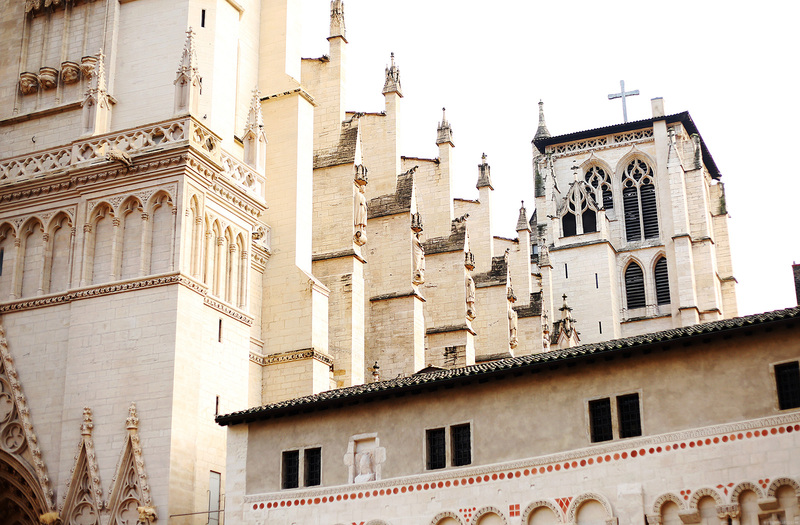 This is why the entire Vieux Lyon is actually a World Heritage site. My sister and I chose to enter one of the streets, namely Rue St. Jean to search for Lyon’s famous traboules or tunnelled passageways that connect two parallel streets. Traboules are one of Lyon’s most distinctive features and are hidden behind the facade of old buildings, inside their courtyards. These buildings have actual residents living there so it may feel like invading someone’s privacy because you’d have to open the building’s doors to get in. Usually, doors are open before 12 noon. If you arrive there after 12 like my sister and I, you don’t have to call the residents, just push the main button of the door and the door will automatically open. It’s a shame I wasn’t able to take a photo of the traboule we found. It was a little dark so I couldn’t take a proper photo. But basically, you’ll make your way through and under a tunnel and find your way out on the next street. It’s such a cool feature built to make the transport of silk during rainy weather easier during ancient times. I also read somewhere that these traboules were built by the French resistance during the World War II to hide from the Germans. Lyon is said to be the capital of French gastronomy and I can see why. We passed by countless restaurants on our way to finding Lyon’s famous traboules. Being all touristy, my sister and I tried a traditional Lyonnaise “Bouchon” which is usually a 3-course meal for under 15 Euros. 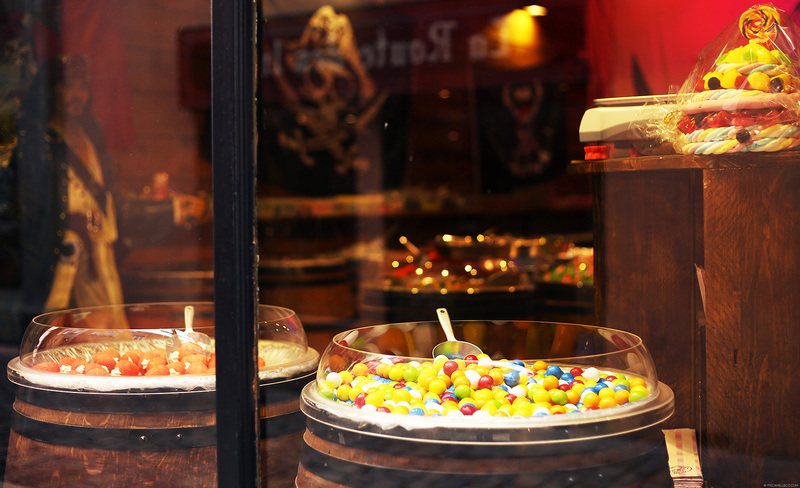 This is a candy store along the cobbled alleys of Vieux Lyon. Can you spot Johnny Depp? Next stop, we went to Lyon’s old silk weaver’s quarter, Croix Rousse. Croix Rousse also has a lot of traboules so I guess here, most of them were used to transport silk. 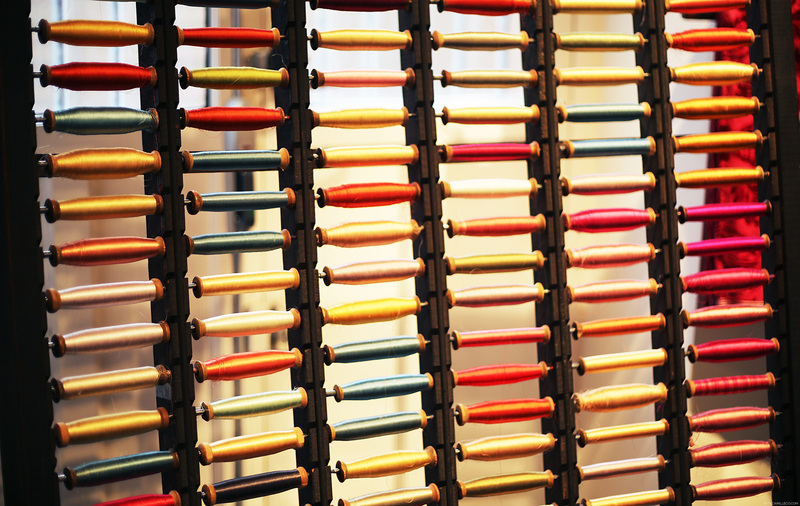 Lyon used to be Europe’s silk capital so there are still a few looms that operate here. I wanted to see some so we went to Maison des Canuts or the Silk-makers House. 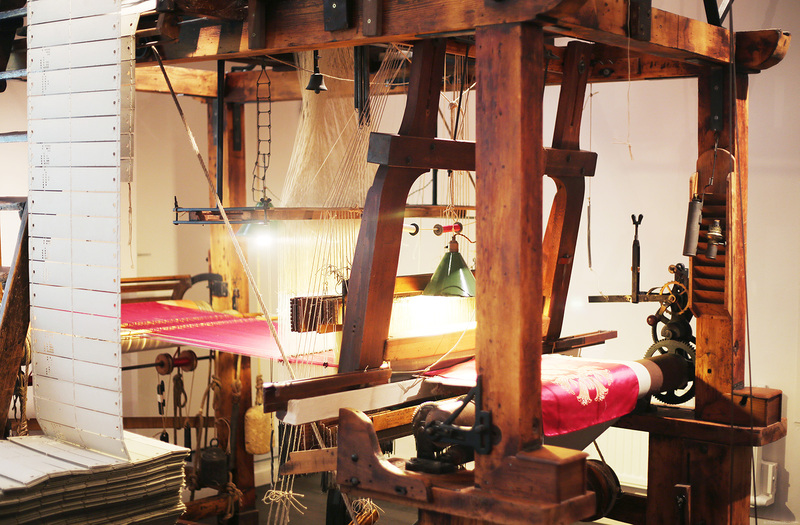 It contains looms used in the old days like a draw-loom and four Jacquard looms. They also have a lot of fine silk on display and for sale. 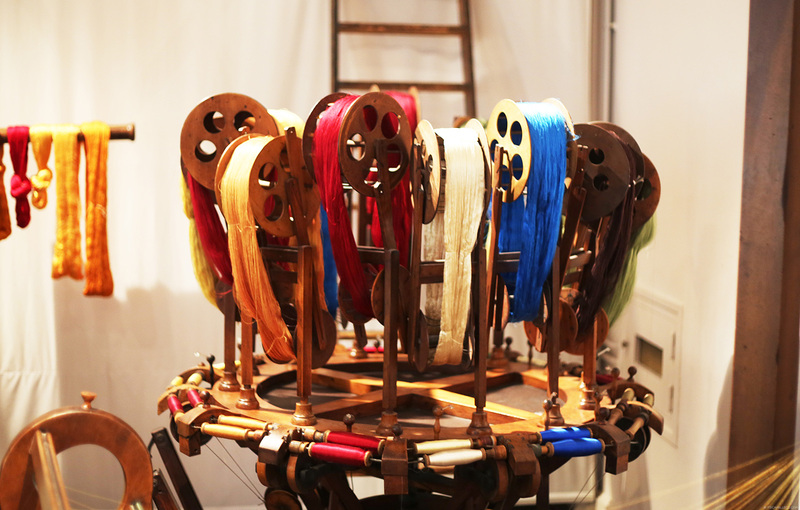 They also hold demonstrations here on how these looms are operated. You see that church on top of a hill? 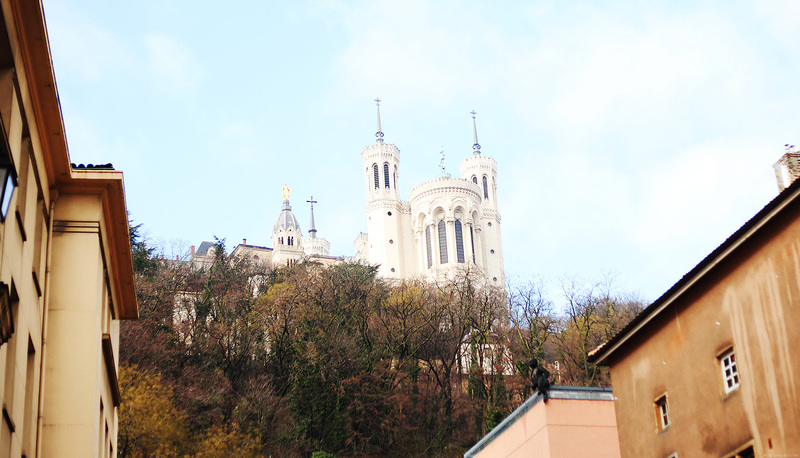 That’s the 19th century Basilique Notre Dame De Fourvière perched on top of the Fourvière hill. You can easily get there through a tram. And here we are! 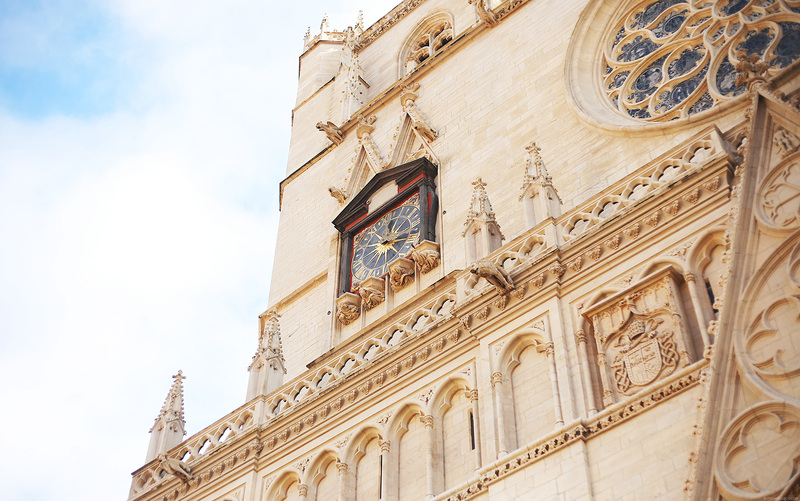 You’ll find the church right away as you exit the tram from the metro station. 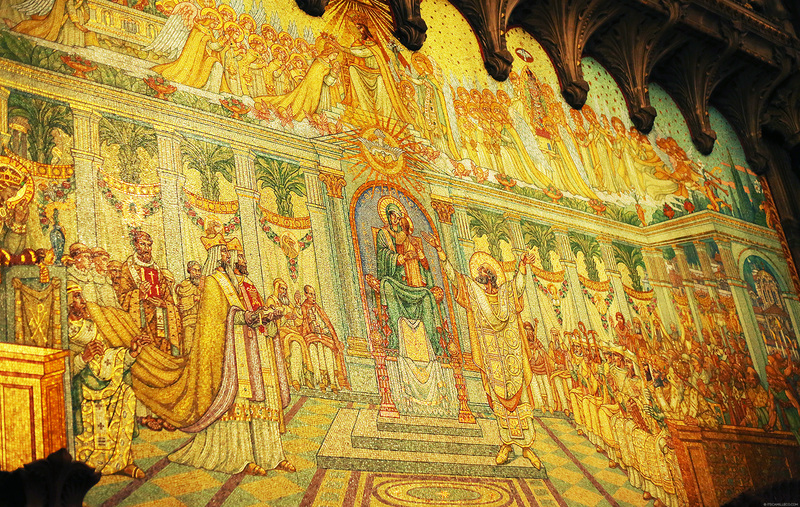 Inside the church, there were plenty of ornate decorations and carvings. My camera had a feast taking all these photos! 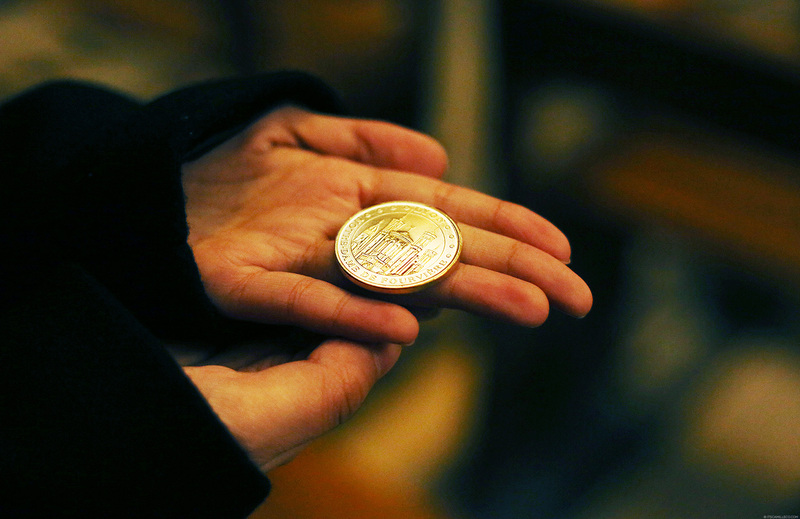 Most of the famous churches in Europe have coin machines where you can purchase a souvenir like this one. 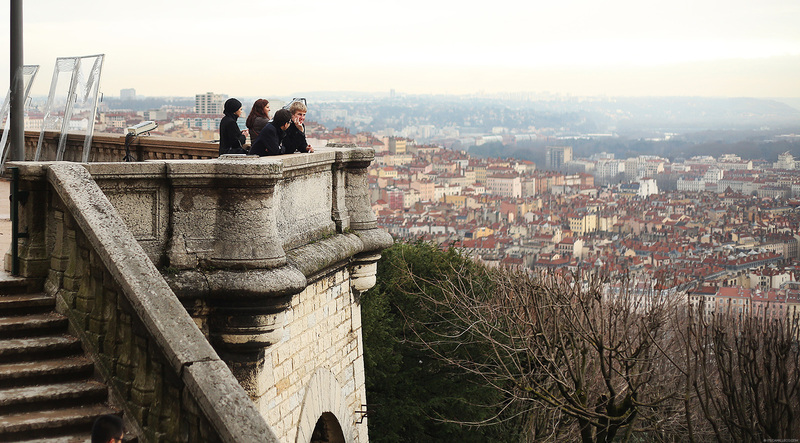 At the back of the church, you can enjoy a beautiful view of the entire city of Lyon. You can also walk down the stairs and take a stroll around the lush gardens. 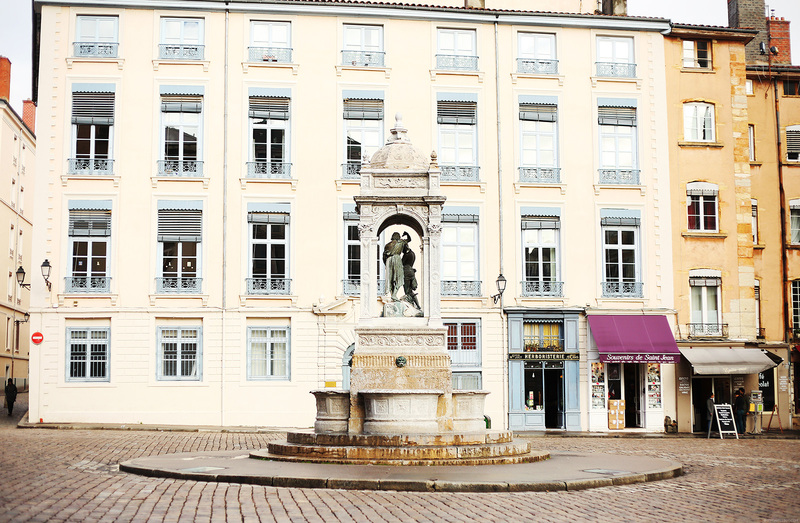 On the way to Lyon’s city center and main shopping districts, you’ll find a lot of beautiful squares. 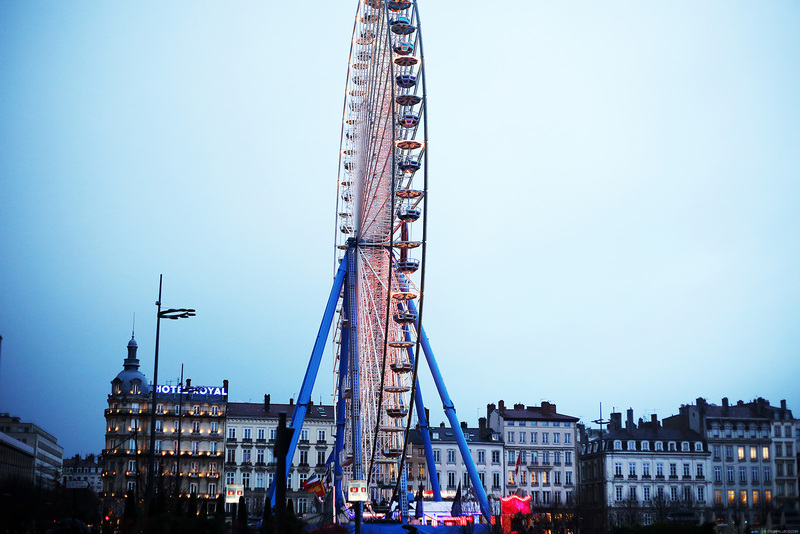 The most famous one aside from Place Bellecour is Place Des Terreaux. Three important structures are situated around this square–La Fontaine Bartholdi, Hôtel de Ville and the Palais Saint-Pierre which houses Musée des Beaux-Arts de Lyon. 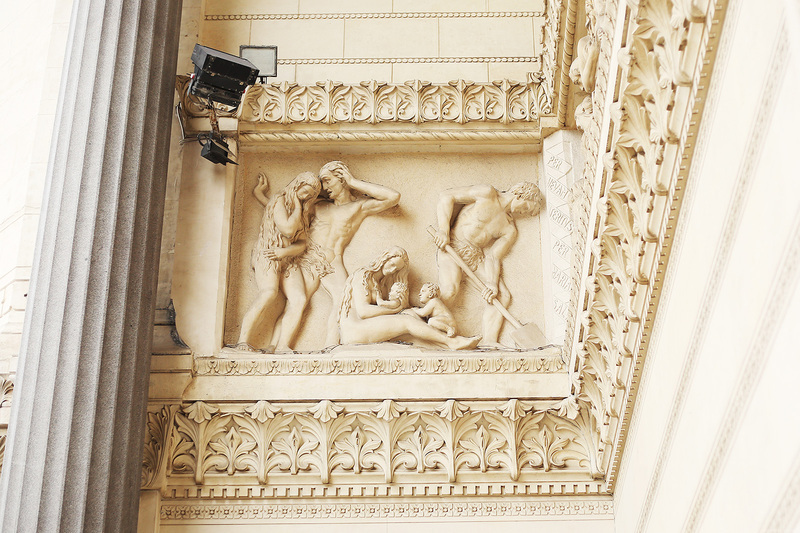 The photo above is Hôtel De Ville’s facade from the side of Place de la Comédie. This is La Fontaine Bartholdi. You’ll see it right away when you get to Place Des Terreaux. It was made by Frédéric Bartholdi who also made the Statue of Liberty. 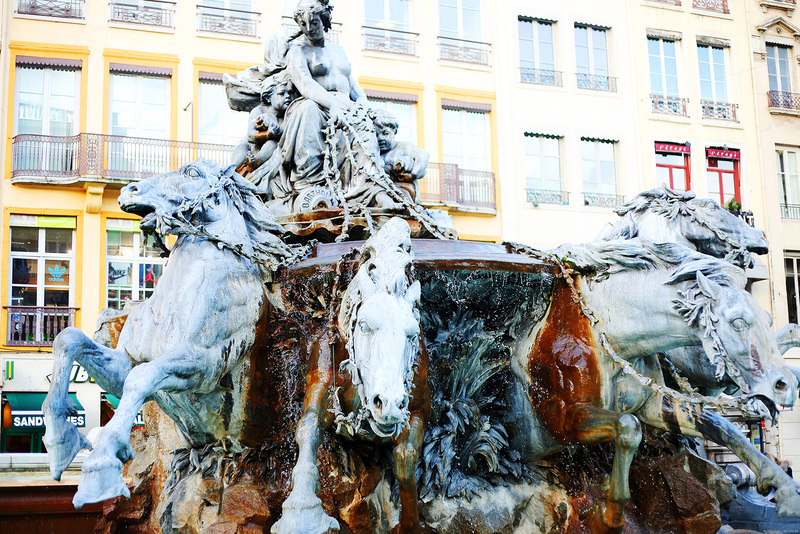 It’s said that the woman on top of the chariot symbolizes France controlling the four great rivers of the country. 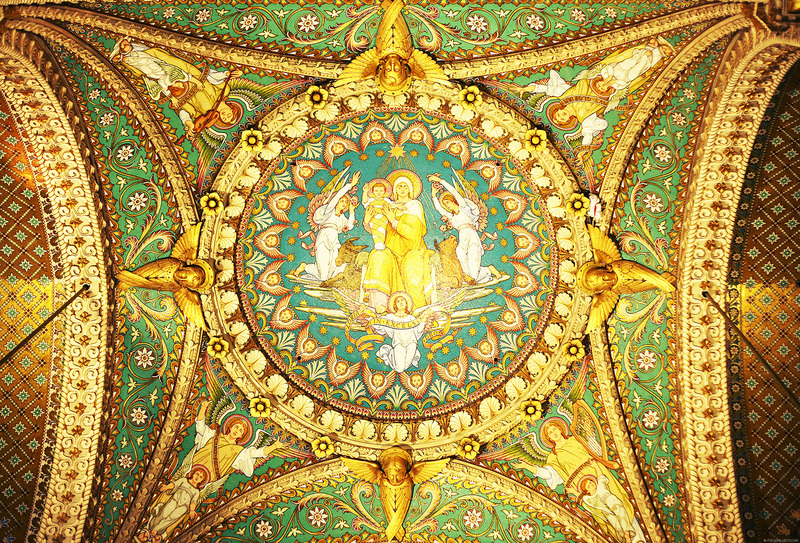 The four great rivers are represented by the horses. 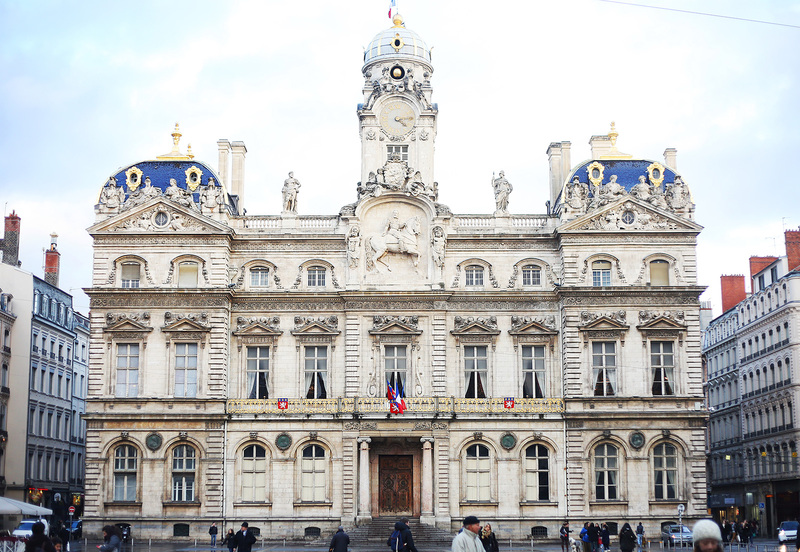 This is Lyon’s Hôtel De Ville or city hall from the side of Place Des Terreaux. It’s so grand!!! It’s especially beautiful at night when it’s all lit up. Just a few blocks away from Place Des Terreaux is Place Bellecour, which is where the famous statue of king Louis XIV on a horse is located. This is where we ended up after shopping along the streets of this area. During winter, a ferris wheel is built here. We were lucky to see it at night all lit up. What a nice way to end our day trip to Lyon. 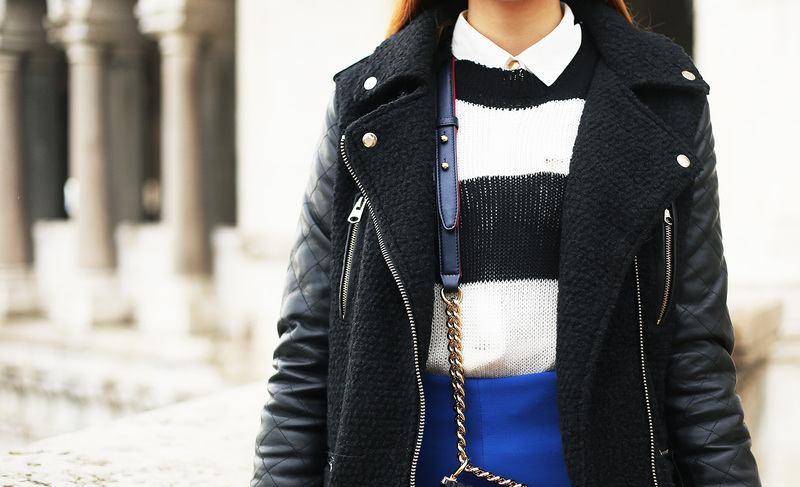 Tomorrow, another travel/outfit post from Geneva awaits! I’ll be visiting tomorrow – also pretty spontaneously… no planning. That’s how I ended up on your page. Thanks for sharing – your photos are inspiring and have excited me for tomorrow! That’s great!!! Hope you enjoy! Late to the game, but came across your post when researching Lyon – hopefully I’ll be visiting in August. What a great post I’ve stumbled upon! Made me very excited to explore the city. Better late than never! :) Enjoy Lyon! This picture is beautiful. You look really beautiful. What a romantic place! super ganda ng pictures! wish i could go there too! :) medyo curious po ako what camera lens did you use? :) thank you po! I would be heading to Europe this October for almost a month. I will go to Paris and Lyon as well. Excited nako!!! ;) By the way, malamig na ba by October dyan dba? Do i need to prrepare some clothes suitable for layering? I am going to Lyon next month and was also planning to go to Geneva. Since you been to both places, I was wondering if 2 days in each city is enough to explore both places. Or it’s fine to stay in Lyon the jut do a day trip to Geneva? Hi! You’re so lucky to be able to live in France when you were student, and now to go there (whenever you want to and schedule permits). It’s really my dream to go there, but I think I need a Million before that happens? I just want to ask if is it really hard to apply for Visa France? Wow 5D III. thats nice :) By the way, what lens do you bring when you travel. Because, usually i can’t decide which lens to bring so i end up brining all. Ms. Cams! I would like to ask if how much estimated money would be needed para maka punta sa Paris?thank youuuu soo muucchhh.Pag iipunan ko po. :)You are very inspiring! Thanks. It was nice sharing and good reference before my France travelling. My pleasure! I hope you find this even just a little bit useful! :) Enjoy France! Future boyfriend! :) Thanks Loren! Such beautiful photos! I’m in love with your travel posts, they are incredibly informative and helpful! it seems that i already travelled in France because of your blogs! I was fascinated with your description of the traboules. They sound so much like the mysterious secret passages I read in novels. I’m glad you got to explore one of them. I also felt like I went through a time-warp with these angles you worked for the several sights of Lyon. 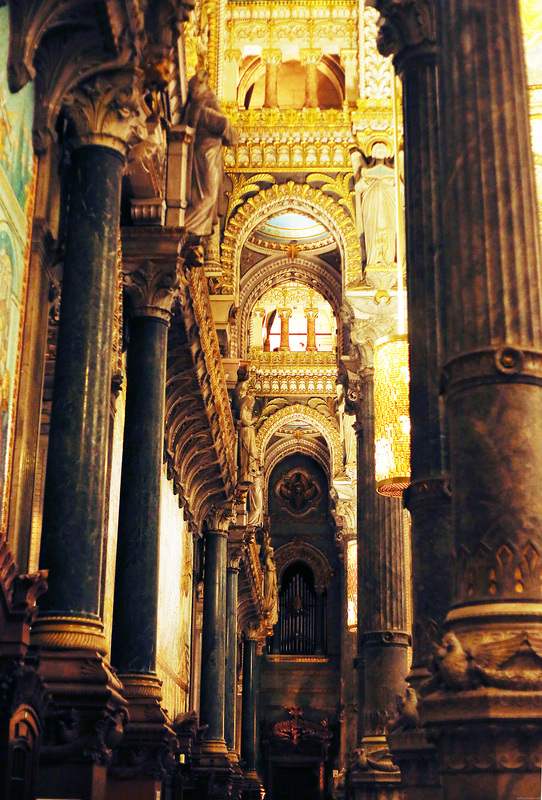 Each feature of the many structures makes you feel like you entered a different world. The photo of the countryside from your train window is exactly how I Imagined the surroundings of Idris, the Shadowhunter country. Now for your outfit: I give you a thumbs up for the wide stripes of your top. It looks snuggly. Even its pairing with the bright blue of your skirt is not muted into obscurity. It is noticeably minimalist, yet the eyes are drawn in for a second look. 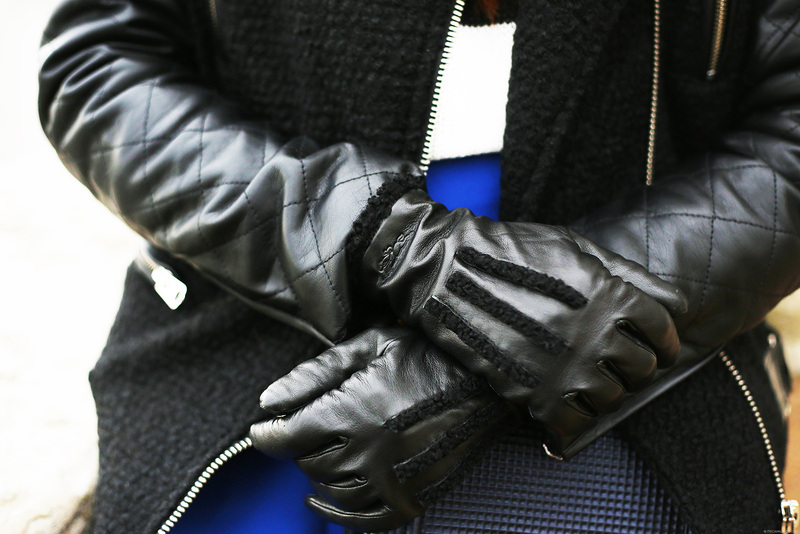 :-D I think your leather accoutrements of jacket, gloves, and boots really make an impression. I love the way you carry yourself. I object to those who say you look too ‘touristy’ because I can see how much of a jetsetter you are! Your look makes me think of a fearless youth who is off to see the world. :-) I Life-Peg you! Sharp eyes! You were able to find Johnny Depp! :) I’m glad you enjoyed this entry. :) It’s one of my favorites as well. And I agree with the comment you made about the leather details in my outfit :) Although I see nothing wrong with being touristy, I don’t see it as well. Thanks Angelic! Thank you Blue! Kulang pa ako ng info and training to be a guide haha! :) But I hope these little snippets help! Un peu! :) Thanks Grace! You really take good pictures :) Is this the new canon you bought ? I want to buy your d7000 tho but I think someone bought it already huhu. Absolutely breathtaking pictures Camille! I am absolutely just eating up these Travel Diaries!!! It’s giving me a major travel itch…well more like a travel rash now! I want to travel now too! LOL! To travel forever! Oh my God!! You have such awesome pictures! I noticed how good the photos are after you bought a new camera! May I know if you took photography lessons? Your blog is getting more educational and I love it! It would be very helpful also if you will have your own blog application on android and apple (though I´m not using apple), since you started blogging about travel. Through that, it will be easier for us to browse on your blog when we are on-the-go. Somehow, pwede namen maging travel guide etong blog mo. The place I want to go.. again you are in miniskirt.. hehehe.. but, anyway, you look great as always.. more travel diary.. someday, I will have a travel diary or blog like you..keep inspiring us..
GRABE lang. Pwede every month ka na mag-abroad para busog na busog (bondat level) kaming mga readers mo? haha! I LOVE! Your travel posts make me aspire to work hard so that one day, I can afford to go to all these places! SOBRANG PAK lang din ng outfit mo! muntik ko ng di mapansin yung photos dahil sa sobrang GANDA ng Chanel at boots moooo! Tyaka in fairness! You didn’t look bulky with that winter wear! Yan kasi ang worry ko when dressing up for the cold season eh. So hard to fasyown kasi nagmumukha ka ng mascot sa sobrang bulky at daming layers of clothing. haha! I hope you don’t mind Ms. Camille when i say na mas enjoy ko actually yung mga post na ganito as compared to fashion cos it’s so educational and we get to travel “vicariously” — plus your nice outfits — ok na ok talaga.. but i do enjoy rin naman your fashion posts. Wish you could also include how to get there, how much the train tixcost, etc. Anyway, i enjoyed this travel blog! beautiful place and beautiful outfit. What’s the degree there? If I remember correctly, below 5 degrees Celsius. Wow your photos are so perfectly crisp!! Are these taken with your 5D Mark III? The camera is so foolproof! France has such beautiful places! I’ve already been there lots of times but it never gets bored because it’s all different (in my opinion) I can’t compare France to another country..